When it comes to wireless performance we used LAN Speed Test to check the performance of the included the included Realtek RTL8732BS Wireless LAN 802.11n SDIP Network Adapter. This soldered down card is non-replaceable, so it better be good! 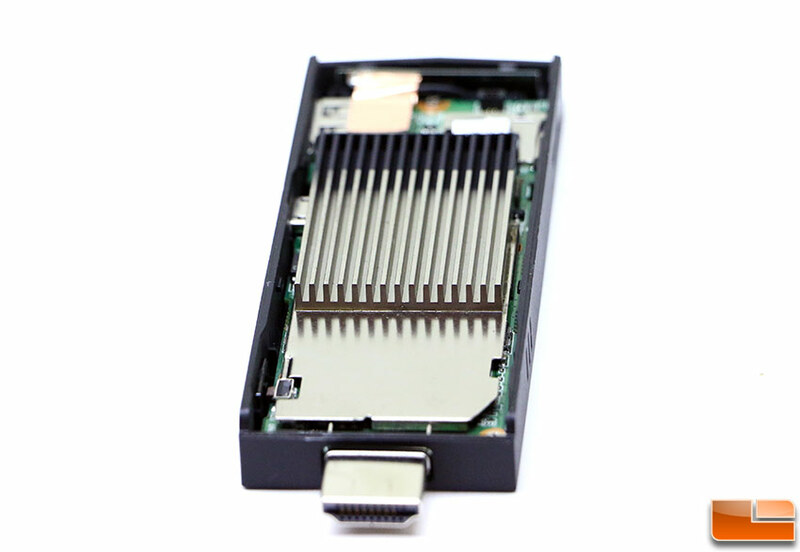 The features show that it is a single-band 1×1 wireless card that also supports Bluetooth 4.0 devices. We used a desktop with Gigabit Ethernet to run LAN Speed Server that was hard connected to the ASUS RT-AC68U 802.11AC wireless router on the 2.4GHz band and moved it 15-feet away from the Intel Compute Stick PC to check out performance with both 1MB and 100MB packets. 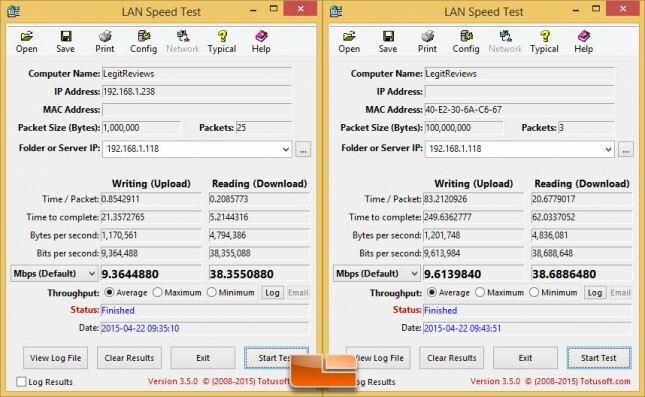 After running LAN Speed Test on the Intel Compute Stick with the wireless card to test the throughput we discovered that the card topped out at 9.6Mbps (1.2MB/s) average write speeds and 38.7Mbps (4.8MB/s) average read speeds. Most people would consider these extremely poor WiFi speeds, so we are a bit disappointed by the results. 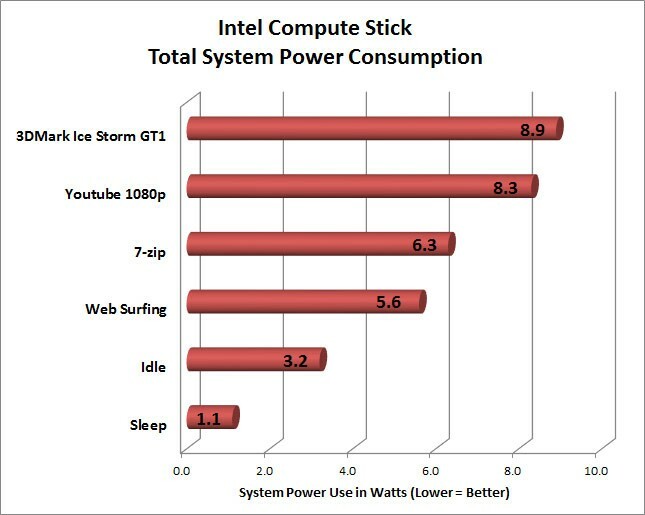 With the Intel Compute Stick w/2GB of RAM and 32GB of eMMC running Windows 8.1 the entire system was consuming just 3.2 Watts of power from the wall outlet when idling! When surfing the web we topped out at 5.6 Watts of power and when watching Youtube videos we topped out at just under 8.3 Watts of power draw. When running 3DMark Ice Storm we topped out at 8.9 Watts at the start of the test.